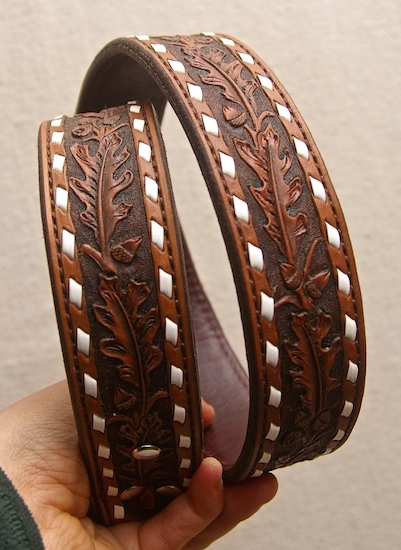 The sky is the limit with designing your custom dream belt! 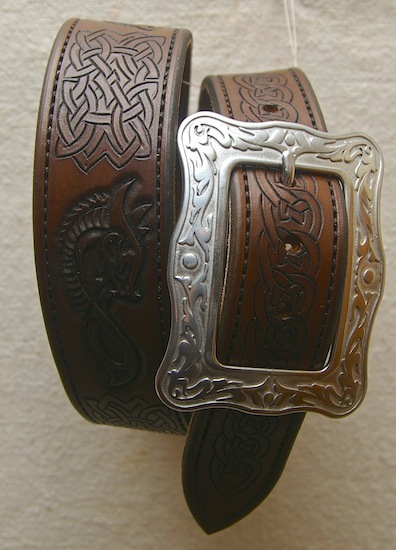 These are just a few examples of the wonderful ideas that have become beautiful belts in our shop. From names, flowers, tattoos, brands, geometric stamps, knots, feathers, leaves etc, there is no end to the imaginative possibilities with your custom belt. Please look at these ideas to get started, and then give us a call to design your own! 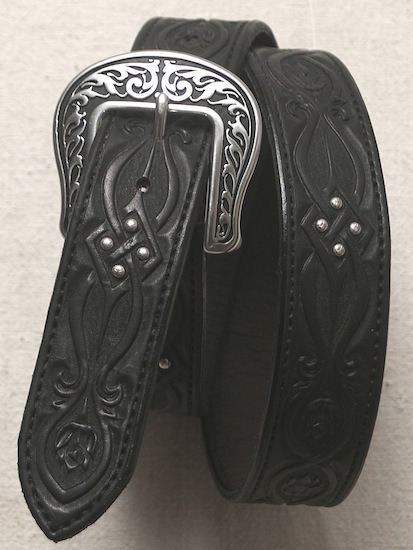 The hobble belt doubles as a belt and a hobble for your horse. It should only be used as a hobble on a horse or mule that respects hobbles.